Please contact us with any questions. We return calls and emails promptly. Normal office hours are 8:00am to 4:00pm Monday through Friday. If you have a direct question, please complete the form below. 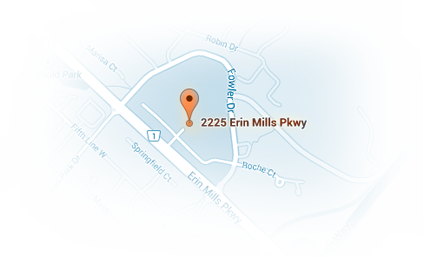 The Sheridan Centre is located between Erin Mills Parkway and Fowler Drive and is a short distance North of the QEW (exit on Erin Mills Parkway). The best way to get to West GTA Endoscopy clinic is to turn on Fowler Drive and follow signs for Sheridan Branch Library. West GTA Endoscopy is located right across from the library. There is ample free parking.